Does the Mayor’s Budget Put People First? 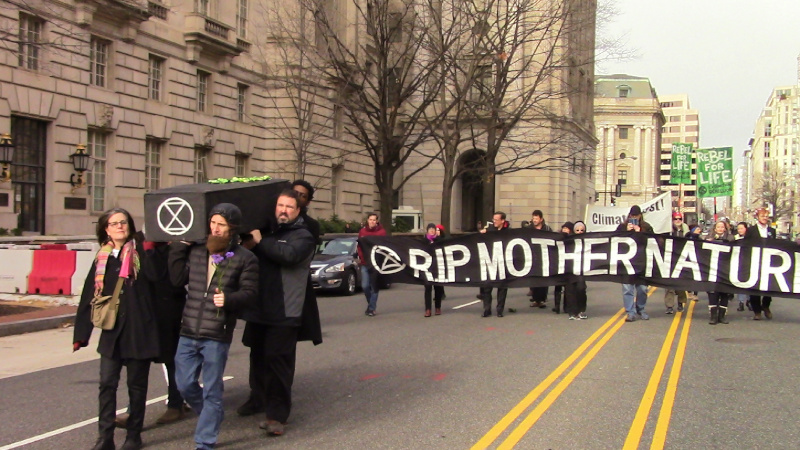 On the 26th of January, the Extinction Rebellion marched a casket from Pershing Park to the Smithsonian Museum of Natural History to memorialize the many species which have been made extinct by human activity. 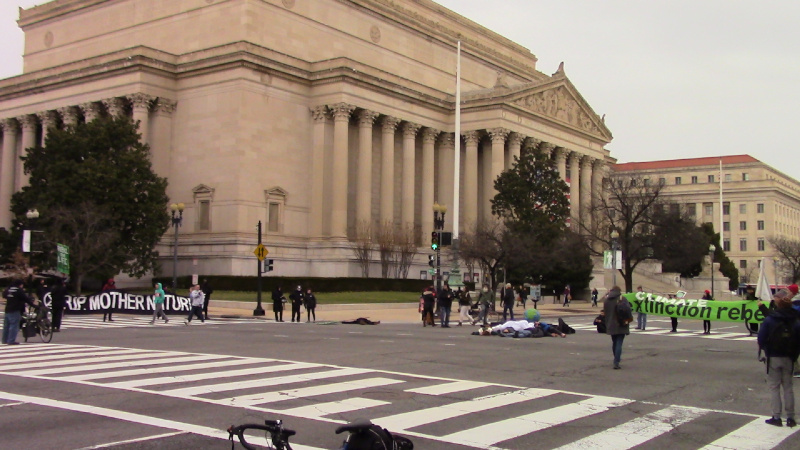 At the conclusion of a funeral service for human-extincted species at the musuem, activsts marched off and blocked the intersection of 9th st (395 entrance) and Constitution Ave. No arrests resulted. 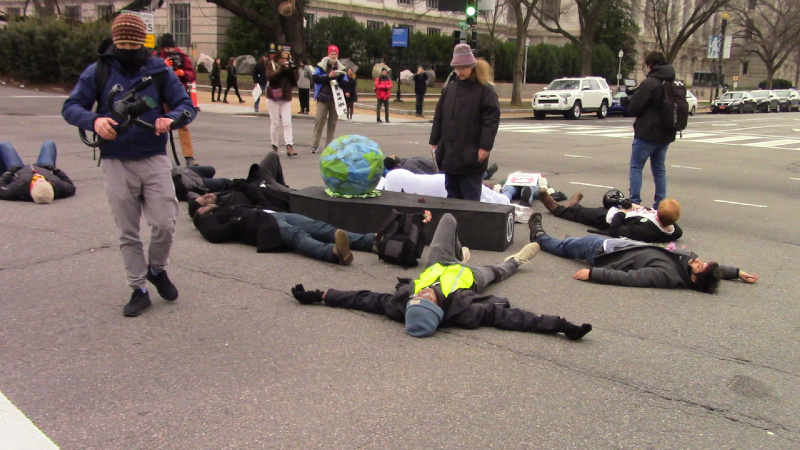 On route to the Smithsonian the march passed by Trump Hotel to the usual chants of "shame! shame! shame!